Note: All UltraPro hose assemblies must be pressure tested prior to use. 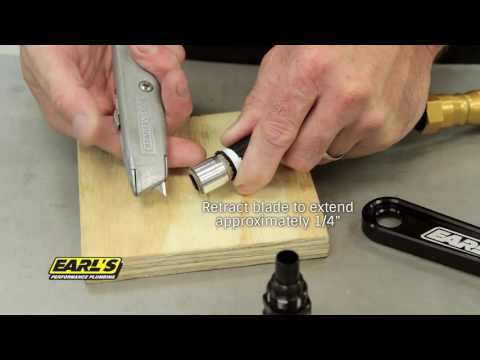 Earl's UltraPro Series hose-ends are manufactured from premium materials to be light weight and rugged and are perfectly matched to Earl's UltraPro Series hose. 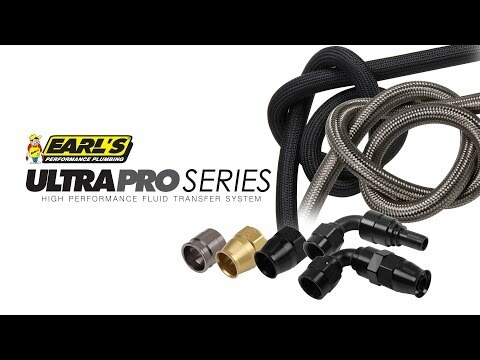 Earl's UltraPro Series hose-ends feature ultra high-strength 2024-T8 aluminum in high-stress components, and ﬂuoroelastomer internal seals which are chemically resistant to all known fuels, oils, and coolants. They feature brazed bent tubes for unmatched strength and all unnecessary weight has been eliminated from Ultra-Pro components. 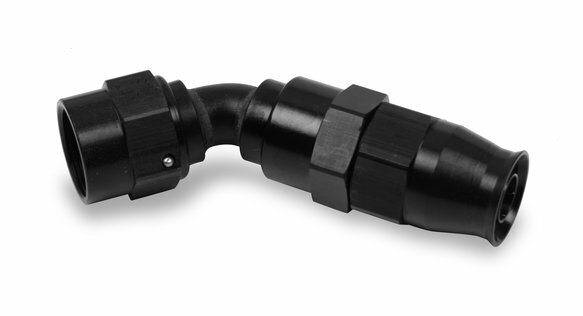 Available Dynamic Swivel™ technology used in selected hose-ends allows 360 degrees of rotation of installed line after installation! Internal seals are a ﬂuoroelastomer material which is resistant to all known fuel, oil and coolant! Traditional Mil-Spec Bent tube design for unmatched strength and ﬂow! UltraPro bent tube hose-ends are dip-brazed for a permanent and robust bond! Designed to withstand harsh environments, brutal vibration, high ﬂow requirements and extreme pressures! Assembled with an olive that threads onto the double-helix ribbed inner liner of the hose for positive engagement and retention of the hose-ends! High stress components are made of high-strength 2024-T8 grade aluminum instead of 6061-T6 aluminum used by competitors! Available in Twist-on and Crimp-on styles for more plumbing options at home or at the track!